The National Center for Responsive Philanthropy (NCRP) has released a 21-page report titled “Pennies for Progress: A Decade of Boom for Philanthropy, A Bust for Social Justice.” As the title states, NCRP believes that nonprofit foundations have shirked their responsibility to attend to the immediate needs of vulnerable populations. The study is based on an analysis of 11 years of Foundation Center grantmaking data from 2003 to 2013, a timeframe comprising the Great Recession and the years before and immediately afterward. Despite a dip during the Great Recession, foundation assets increased from $682 billion in 2003 to $798 billion in 2013. Half of all funding for long-term strategies (systems change) to address needs of underserved populations came from just 20 foundations. Notwithstanding individual and family distress during the Great Recession, large foundations increased giving for underserved populations by only 17 percent. Only 1 in 10 of the largest foundations devoted 50 percent or more of their grant dollars for the direct benefit of underserved groups. Community foundations accounted for 9 percent of total foundation grants to marginalized communities in 2003. This amount jumped to 15 percent in 2013. However, the share of total giving from community foundations for underserved populations fell from 33 percent to 26 percent during the period. NCRP defines social justice philanthropy as: 1) funding intended to benefit underserved communities: the population element; and 2) funding whose explicit goal is long-term systemic change: the strategy element. NCRP’s benchmarks for evaluating “philanthropy at its best” are enumerated in an appendix to the report. They include 10 criteria grouped under the following headings: values, effectiveness, ethics, and commitment. The criteria provide an audacious challenge to the foundation sector, including devoting 50 percent of funding to service to vulnerable populations and 25 percent of funding to “advocacy, organizing and civil engagement.” Effectiveness is measured, in part, based on a foundation devoting half its grants to general operating support and half its grants to multi-year support. One bright spot in the data is the increase in American foundation grantmaking for underserved populations abroad, growing 63 percent during the study period, almost four times the 18 percent increase in domestic support for underserved communities as a share of all grantmaking. The caveat to this optimistic statistic is that 65 percent of this funding was from the Bill and Melinda Gates Foundation alone. Corporate foundation giving was another positive trend, with grants for underserved groups as a percentage of total giving increasing from 29 percent in 2003 to 41 percent in 2013. All studies have limitations, and this one is no exception. The study looks at large foundation finances and giving patterns but makes no distinctions based on foundation mission, funder restrictions, or other differentiating criteria. For example, universities and hospitals with large supporting foundations are included alongside family foundations and foundations already working with vulnerable populations. Community foundations are called out in the report, but many community foundations have endowments heavily weighted toward donor advised funds, with donors having influence over the foundations’ overall giving patterns. Finally, NCRP’s definitions of vulnerable populations and social justice philanthropy may exclude foundations funding work with vulnerable populations in ways different from those defined by NCRP. The report title “Pennies for Progress” bears an unfortunate similarity to the annual “Pennies for Charity” report issued by the New York Attorney General’s office, but it delivers a similar message: Money that should be going one place is, all too often, going somewhere else. In the case of “Pennies for Charity”, the “somewhere else” is third-party fundraisers—telemarketers, direct mail companies, event organizers, etc. 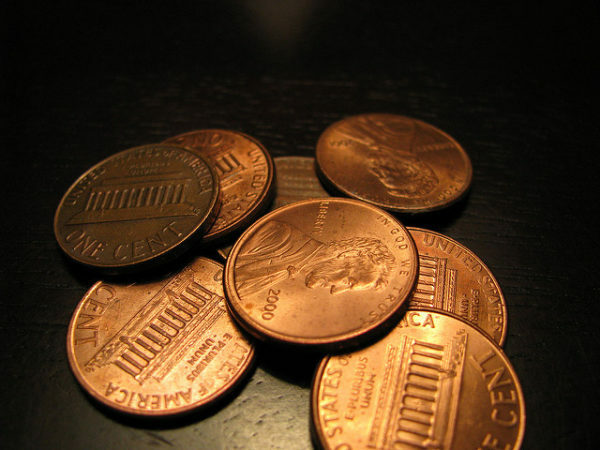 “Pennies for Progress” asks “Whose public good do those dollars serve if not communities that need them most?” However, the question is rhetorical and isn’t addressed using the data NCRP has analyzed. Increase grantmaking that benefits vulnerable populations such as the poor, people of color, and the LGBTQI community. Support efforts that empower and engage communities in finding long-term solutions to issues such as economic opportunity, women’s equality, and structural racism. Give more unrestricted, multi-year grants that nonprofits need to be effective. Few in the nonprofit sector could argue with the first and third recommendations. More needs to be done for people in need, and nonprofits serving people in need would benefit from fewer grant restrictions and more dependable revenue streams. NCRP’s study found that, despite a slight upward trend during the study period, 80 percent of foundation grantmaking was for purposes other than general support. About 90 percent of large foundations did not report making any multi-year grants. The second recommendation is particularly interesting, as long-term solutions efforts currently rely on support from independent foundations rather than corporate or community foundations. Approximately 90 percent of social justice grantmaking directed at long-term solutions between 2003 and 2013 came from independent foundations, with the year-by-year comparisons being remarkably consistent. This would indicate that grantseekers asking for systems change support should either target independent foundations or be prepared for a significant education process to interest community foundations and corporate funders in these activities. NCRP’s study illustrates how foundations have supported—and failed to support—vulnerable populations and systems change before, during, and immediately following the Great Recession. It both provides data and points the way for grantees and sector advocates to work toward influencing large foundations and other funders to analyze and rebalance their funding priorities. Weingart’s reaffirmed commitment comes across as intensification rather than the faddish embrace of a new direction, as other foundation pivots have.